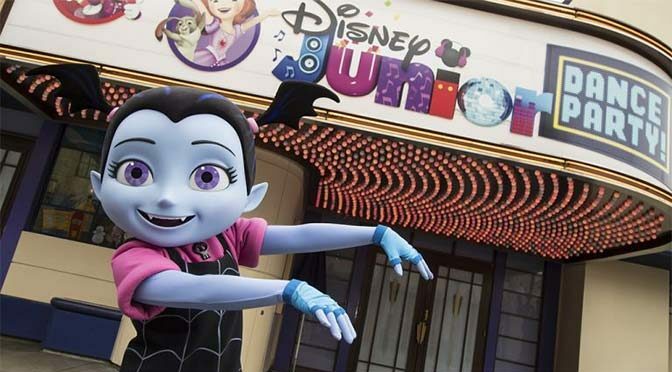 Vampirina, the popular Disney Junior character, has joined the Disney Junior Dance Party in Disney California Adventure theme park in Disneyland. The show features favorite Disney Junior characters as they lead families in high-energy dance songs. Join Vampirina and her friends at Disney California Adventure or Hollywood Studios theme park in Walt Disney World.